With the PBA all set to unfurl its 43rd season, teams have opted to go with younger talent. Plenty of veteran names were left out in the cold though some teams could still put them to good use. 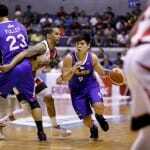 PBA: Will Ginebra consider signing free agents? 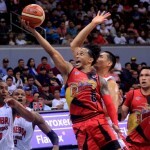 The PBA is all set to open its 43rd season, and there are a lot of names struck out of the list. 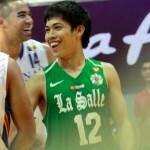 Among the notable names include Chris Ellis, Gary David, Denok Miranda and Mac Cardona. Jeron Teng, the bull-strong former DLSU Green Archer who once scored 104 points in a high school game, will need to develop an outside shot if he is to last long in the PBA. Kiefer Ravena, the second overall pick of the 2017 PBA Draft, will be the cager to watch when the PBA Philippine Cup opens its doors on Dec. 17. He will play for the NLEX Road Warriors, and most expect him to flourish with veteran coach Yeng Guiao guiding him. 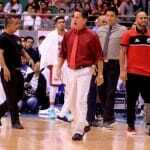 PBA: Can Ginebra dethrone San Miguel Beer? 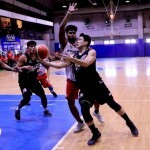 Riding on the momentum of winning back-to-back PBA Governors Cup titles, the Barangay Ginebra Gin Kings try to make it two-in-a-row with the PBA Philippine Cup set to open on Dec. 17. After three weeks, Rice Jr. has sent a letter apologizing to TnT management for the unfortunate tantrum. Wearing out his welcome because he expressed his dismay on social media, LA Revilla tries to move forward with another PBA team. The former DLSU Green Archer has reportedly been traded to the Phoenix Fuel Masters in exchange for Jayson Grimaldo, the 21st overall pick of the recently concluded PBA Draft plus a 2018 second round pick. PBA: Will ‘Air Force’ Ellis ever take flight again? Chris “Air Force” Ellis showed a lot of promise when he entered the league back in 2012. 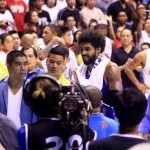 He was the sixth overall pick in that PBA Draft and ended up with the league’s most popular team, Barangay Ginebra. The PBA Board is set to convene in Los Angeles for a critical planning session which would include the fate of embattled commissioner Chito Narvasa. And based on initial reports, it looks like this mess is not looking good. 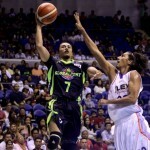 PBA: Is Terrence Romeo a peace offering? 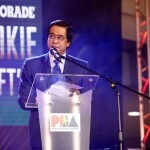 Barely a day after we tackled the alleged PBA trade involving Terrence Romeo, a credible news source has reported that there is indeed something brewing.